Sunday will mark the fourth anniversary of the death of Shane O’Farrell. 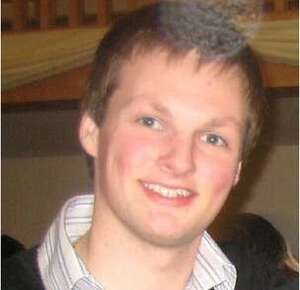 Shane was killed in a hit-and-run in Carrickmacross in Co. Monaghan by Zigimantus Gridziuska, from Lithuania, on August 2, 2011. Gridziuska was on bail for several offences at the time and was on suspended sentences in the Republic and the North that should have been activated prior to August 2, 2011. He was stopped by the Garda Drug Squad just an hour before the hit-and-run and was allowed to continue driving despite having no tax. Shane’s loving parents Lucia and Jim and his older sisters are in a very anguished state and please ask your readers to pray for them on Sunday. Their pain makes me ashamed to be Irish aided and abetted by sheer incompetence. 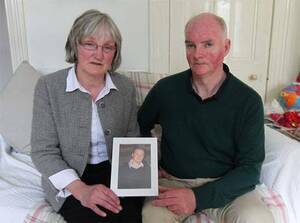 Mrs O’Farrell has begun legal action against An Garda Síochána, the Minister for Justice, and the State over Shane’s death. She is also suing the Minister, the Attorney General, the Director of Public Prosecutions and the Garda Commissioner, along with Gridziuska. Ms O’Farrell was among a delegation of families who travelled to the European Parliament in Brussels in May, in an effort to seek justice for their dead relatives. The delegation was accompanied by former Garda John Wilson and journalist Gemma O’Doherty. Posted in Misc and tagged anniversary, Shane O'Farrell at 12:45 pm on July 31, 2015 by Broadsheet. Fair play to these people, the incompetence and corruption in this country is a massive thing to take on, best of luck. My heart goes out to this family for the pain loss and grief that they r suffering and the loss of their son’s life which so easily could have being prevented had not being for negligence. will pray for him and his family to give them the courage and strenght to keep up the fight, god bless..